If you don't know, one of my favorite search engines to browse other than Google is Pinterest. And last night I decided to do an experiment on something natural. 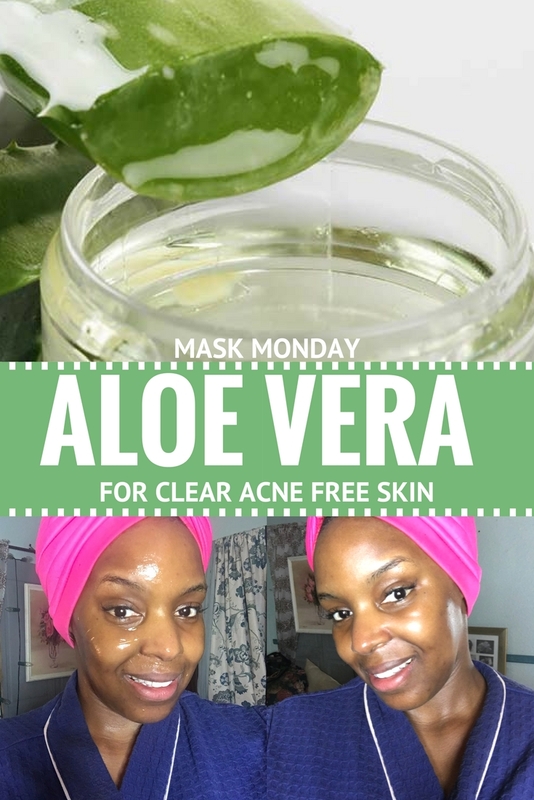 I knew I wanted to do a natural overnight mask and there were two I was eager to do but I chose this one because it was pretty simple. 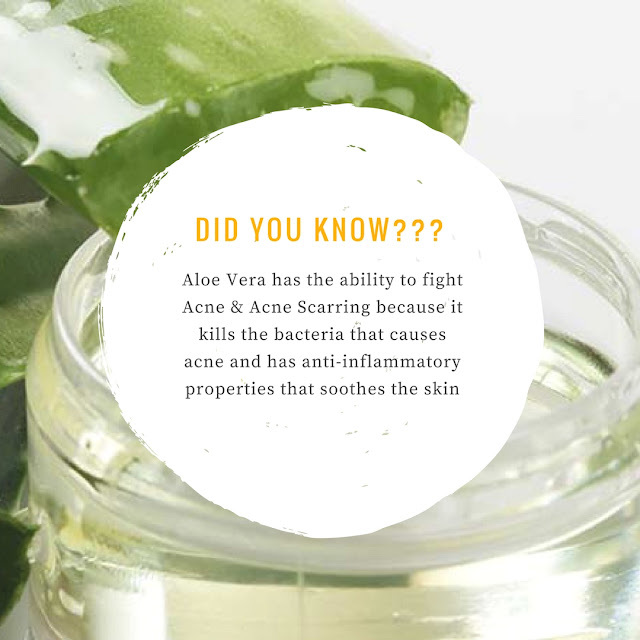 Aloe Vera is something I use almost daily because of its anti-inflammatory properties and it's ability to sooth, protect, and prevent bacteria build up which is often the cause of acne. 1. Cut off a fresh aloe vera leaf and squeeze out the aloe vera gel OR you can buy pure aloe vera gel. Because I didn't have time to go to the store I opted for the pure aloe vera gel I had at home. 2. Apply the gel all over face and leave on as a overnight mask. 3. Wash it off with warm water followed by cold water in the morning. 4. Take one sheet of paper towel or a clean wag and pat skin dry. Once the acne clears up make sure you apply aloe vera gel to your skin on a regular basis because aloe vera further prevents acne breakouts. Add 1-2 drops of pure tea tree oil to 1-2 table spoons of aloe vera gel to spot treat acne or pimples. Tea Tree Oil is a great natural alternative to benzoyl peroxide which is often the treatment used for acne. It reduces inflammation and kills bacteria which can cause acne to spread and also remove acne marks and dark spots. But remember just because tea tree oil is natural its very potent and if used wrong and too much it can cause the skin to dry out and over produce oils further worsening acne. Always consult with a dermatologist or invest in having facials at least 1-2 times a month! I recommend this to people who have problematic skin and need professional guidance.